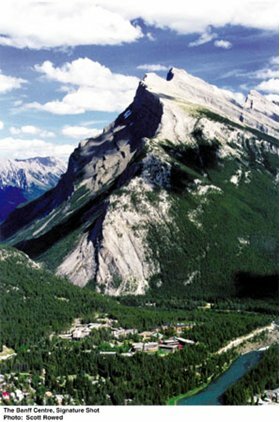 Nestled halfway up a mountain, overlooking the town of Banff, the Banff Centre Campus is a vibrant, scenic retreat in the Canadian Rockies. For over 70 years, the Banff Centre has brought together artists, researchers, and industry leaders to educate, share knowledge and collaborate in the development of creative content. This year’s Smart Graphics is being presented in collaboration with the Banff New Media Institute (BNMI), an arts production and research group that has been exploring new media practice and theory for over 15 years. BNMI’s mandate is to leverage the intersections between arts, science, technology and research. Their approach to investigation is truly interdisciplinary, making them a valuable addition to this year’s Smart Graphics conference. 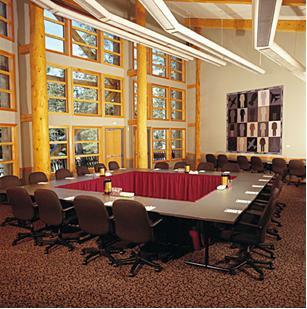 All conference sessions, meals and activities will take part in, or depart from the Banff Centre Campus. 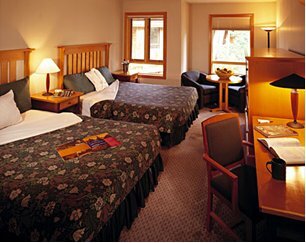 As part of the conference package, the Banff Centre has provided us with an on campus hotel lodging and dining plan that is incorporated as part of our conference fee. On campus accommodation is limited; therefore, advance booking is essential. Accompanying persons may also purchase meal and accommodation plans at a discounted rate. Please see our registration page for further details. 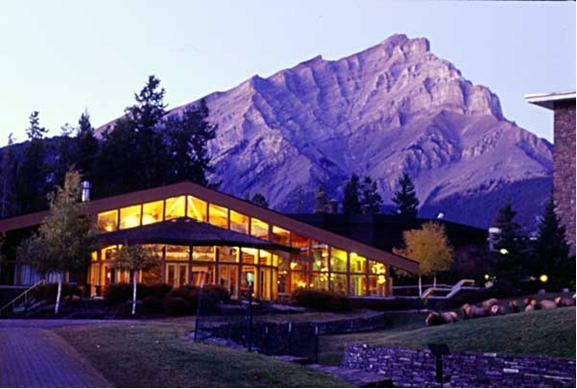 Visitors to the Banff Centre will have access to the Centre’s recreation facilities, including a weight room, sauna and swimming pool, and may also enjoy taking in concerts and other cultural events presented at the Centre during their stay. Visit our registration page to register for the conference. Located in the heart of the Canadian Rockies, and encompassing 6,641 square kilometres (2,564 square miles), Banff National Park is a UNESCO World Heritage Site comprised of rugged mountain peaks, glaciers, and spectacular forests and lakes. Situated within the national park, the town of Banff has an elevation of 1,383 metres (4,537 feet). This makes it the highest town in Canada! There are many attractions and activities you can enjoy while visiting Banff, including a gondola ride to the top of Sulphur Mountain, a relaxing visit to the natural hot springs found in the area, and the opportunity to enjoy stunning Canadian vistas while hiking, biking, or climbing. Smart Graphics participants may wish to extend their visit to Canada in order to explore the Canadian Rocky Mountains including Banff National Park and the adjoining regions of Lake Louise and Jasper. Banff Facts obtained from www.banff.ca. For driving directions from the airport to Banff, refer to the Town of Banff’s website. The drive requires approximately two hours and provides visitors with incredible scenic views of Albertan prairies, foothills, and of course the stunning mountain peaks of Banff. © 2010 International Symposium on Smart Graphics. All Rights Reserved.